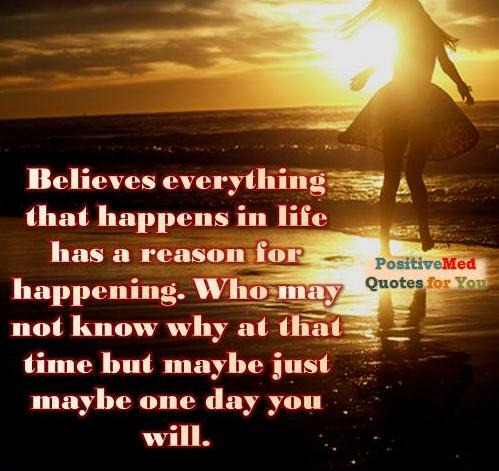 Home inspirational poster Quotes For You Believe everything that happens in life has a reason! Believes everything that happens in life has a reason for happening. who may not know why at that time but maybe just maybe one day you will.